How many of you will enjoy Pokemon Let's Go as an Adventure Spin-off, not a full main series game? Discussion in 'Let's Go, Pikachu & Eevee' started by shoz999, Oct 29, 2018. Contrary to a growing popular belief, GameFreak truly has put a lot of quality-care into the level design of the Kanto region, making it interesting for exploration, ride Pokemon and other forms of interactivity. In fact, we have never truly seen a Pokemon game, like Let's Go, on a grand cinematic scale since Black and White 2. How the camera work is handled is just breathtaking, especially the introduction of the S.S. Anne like some grand celebration. Well some of you are probably thinking SM or XY but cut-scenes does not equal a grand cinematic. With that being said Pokemon Let's Go is sizing up as one hell of an Adventure game. That's just it, only an adventure game like Pokemon Ranger, Pokemon Mystery Dungeon, Pokemon Snap etc. Not a full-fledge Pokemon main series game with all the essential features, from online to wild battles, like recently Pokemon USUM. Even though Let's Go is a main series game, who here will not enjoy it as main series title but as an Adventure-style spin off in the same way as Pokemon Ranger or Mystery Dungeon. Cause I don't know about you but the lack of wild battles and focus on an interactive action environment reminds me too much of Pokemon Ranger. I wonder if it will sell better if they just reskinned the game as a Ranger game, treating the GO mechanics an an "evolved" version of the Styler mechanics lol. The Unknown Trainer and Zhydra like this. Making this into a new Pokemon Ranger game instead wouldn't have been a bad idea to be honest. That was kind of a waste, regardless I am on the same boat as you. Actually now that I've said that. Pokemon Let's Go is basically just HD Pokemon Ranger with a Pokemon League behind it lol. It has the same concept in that most of the pokemon you are catching are disposable rather than collectable, you spend the whole game with your "Starter" and instead of battling the wild pokemon, you capture them in different ways. The BIG difference is that there is still a battle system we are familiar with, legendary pokemon require us to battle them before capture and the game flows like a traditional game rather than what happens in Pokemon Ranger. Also Cradily... leave the community alone if you hate Let's Go that much. This thread actually became interesting once someone pointed something out. I see the shills are out in full force. Perhaps your right? Perhaps. However maybe you want to explain your side of the story why this shouldn't be played as either a main series game or an Adventure spinoff comparable to Pokemon Ranger? Read my other posts and the ones made by Bolt the Cat and you'll understand where we're coming from. Kind of boring but let's say I made a guess as to what your thoughts are. Is it because how lackluster the game design seems compared to previous entries? Or perhaps it's the potential of a Kanto remake thrown down into the toilet? Perfectly understandable and it's from your ideas of many ideas, how you interpret this game that I came up with this thread! Instead of it enjoying it as a main series title, how about we enjoy it as a spin-off adventure title like the Pokemon Ranger series that I'm comparing it too? I’m sure I’ll enjoy the games no matter what. Genos, Cradily17 and shoz999 like this. I can respect that. What I'm not fine with is people acting like no one has any right to criticize the games or modern GameFreak, as if they can do no wrong. The first one is the BIGGEST reason people hate the games. It is way too simplified for those use to the more complex formula and thus isn't for them. Oh yeah. I forgot about the Kanto catering but that's not usually the top of people's reasons. Also I disagree with Gen 6 not being loved. Like Gold and Silver in jaw-dropping state-of-the-art FULL COLOR graphics lol... XY was the first main non-side series games to be in... THREE DEEEE! A lot of people's minds were blown on that day. You know who elses minds were blown? MGS fans who saw their beloved Snake going.... drum roll please... OUT... DOORS! The comparisons between Pokemon and MGS's slow evolution over time is pretty funny. Masuda already plans to turn Let's GO into its own series, to have it alongside the traditional series. But to answer your question, I would be totally fine with it. We get extra games with neat features, and the traditional series remains its own thing. I can't wait to see how the Let's GO series develops. Well that explains why your calling people shills out of nowhere. Just some advice dude. Don't judge too quickly, be friendly with everyone from the start and careful who you do argue with, you or the other person may start something toxic that ruins the thread for everyone. Don't call people a shill just because you saw a couple of "Don't Judge" comments and missed everything else they say about Let's Go, otherwise. Your words are going to feel empty to strangers who see it. PrinceOfFacade and Zhydra like this. Whether or not it's a spinoff or how it compares to the main games doesn't really matter. The issue is that they're peddling a simplified, barren, mobile-esque experience in a console game for $60. I don't care what the game is or what genre, that's just a bad idea period. I would say that when it comes to enjoyment of the game, it shouldn't matter if it's classified as a spin-off game or main series game. Assuming the game itself is the same either way, then one should derive the same pleasure from playing it, no matter what we call it. Someone who truly dislikes it as a main series game would likely dislike it as a spin-off, and someone who likes it as a spin-off would certainly like it as a main series game. If you do think you would enjoy it as a spin-off, but not a main series game, then you might want to question your priorities, as the game would offer the same exact things to enjoy either way. Do you see anyone on this thread saying you're not allowed to dislike the game? Your initial comment was completely off-topic and unprovoked. Don't tell me what to do. You're not my mom. BHAHA what are you, 12? Everyone settle down. We know what infighting and mocking leads to on YouTube comments, it leads to toxicity which changes the subject which destroys discussions. I pick Adventure. The Let's Go games are best played as an Adventure spinoff and nothing more. Honestly it's far from some Pokemon Go adaptation. Also no. I think whether or not it's played like a spinoff does matter. See your still judging it as a main series game, calling it a barren "mobile"-esque experience in a console game for 60 bucks. Honestly I agree with you. It's a little overpriced either way, should be 50 bucks but not 50 bucks as a main series game. 50 bucks as a spinoff game. This reminds me so much of the spinoff titles, like Pokemon Rangers, but at the same time this has way more content than previous spinoffs. A huge problem with Pokemon spinoffs is that there aren't actually a lot of side or post content to them. If you remember, the Pokemon Ranger series are great spinoffs with not much meat outside the story. Here Pokemon Let's Go is basically an HD Pokemon Ranger game with a Pokemon League behind it, trainers, Gym Leaders, usual fare and a lot of side and post game content. As a main series game, your right. This game feels kind of barren, empty. In fact if you remember, I'd argue that this game doesn't really have much of a reason to exist since the main series games does a good job of appealing to casuals already. As a spinoff however, there's a lot of content packed into this game such as customization, side quests, the master trainers. 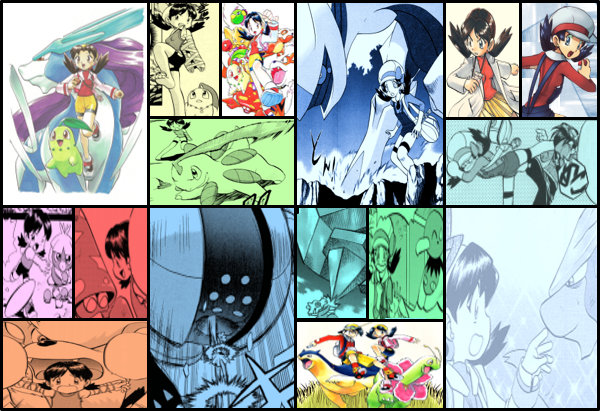 That may seem small to you but from someone who enjoys the Pokemon spinoffs a lot, that's actually quite a lot. It just shouldn't be 60 bucks. Maybe 50 or 40 bucks. I said Let's Go, not Pokemon Go. Way to miss the point. Also no. I think whether or not it's played like a spinoff does matter. See your still judging it as a main series game, calling it a barren "mobile"-esque experience ina console game for 60 bucks. Honestly I agree with you. It's a little overpriced either way, should be 50 bucks but not 50 bucks as a main series game. 50 bucks as a spinoff game. This reminds me so much of the spinoff titles, like Pokemon Rangers, but at the same time this has way more content than previous spinoffs. A huge problem with Pokemon spinoffs is that there aren't actually a lot of side or post content to them. If you remember, the Pokemon Ranger series are great spinoffs with not much meat outside the story. Here Pokemon Let's Go is basically an HD Pokemon Ranger game with a Pokemon League behind it, trainers, Gym Leaders, usual fare and a lot of side and post game content. What are you talking about? Ranger had a lot more side content, especially in the later games when they had numerous side quests in the game. This kind of mentality doesn't just apply to main series games. It applies to every game period. A $60 game should be a more valuable experience than a $40-$50 game and one of the most common sense ways to do that is with more content. Think about it, if you're buying cereal and you see one brand offering 10 oz for $5 and another offering 18 oz for $6, which are you going to buy? The answer should be obvious, the 18 oz brand offers you better value ($0.33/oz vs. $0.50/oz). You're going to look for the best bang for your buck. This translates similarly into video games with content, a game that offers more content is going to be considered more valuable so as the price goes up, expectations for content will too. Again, this has nothing to do with what series game it is or what genre. This is just basic economics. And you just left it like that. I had no clue what you were talking about so I guess you meant Let's Go is the mobile-style experience of Pokemon Go and Adventure was the spinoff Adventure experience I spoke of earlier. As for your second comment, true which is why I agreed with you that I shouldn't be 60 dollars, it should be in the 40-50 dollar range. My other point was pointing to the fact that you called it a simplified, barren, mobile-like game. Okay, you could point out that you also said for a 60 dollar game but let's take off the 60 dollar price tag and decrease it to 40, 50, even 30 bucks? Is it still a simplified, barren, mobile-like game to you or is it a Triple A experience that delivers? It's why I said there's a lot of content packing into this game compared to previous spinoffs and has a lot of content more than the Pokemon ranger games. Now your right. The later Pokemon ranger games have side quests which leads to good boss battles but that's really it. They don't give you a lot of meaningful rewards that feel optional, heavy customization or any of the other side features found similarly in the main series games that the Pokemon Mystery Dungeon series can compete with. In the end however, you are mostly right. This game isn't worth 60 bucks but you are wrong when calling it a barren mobile-like game in terms of game design. In fact this game features a lot of Pokemon Ranger-style elements and more like capturing Pokemon without battling, actions against the environment through Pokemon's own biological abilities, interactivity of the environment through their own AI, the level design rebuilt for that focus of environment interactivity (it's why the Cycling Road isn't a Cycling Road anymore). Like Pokemon Ranger, this game is best played as an adventure spinoff with RPG elements on the side, not a main series core title with the deep RPG mechanics rooted in almost every part of the game. Basically I'm saying, you are right that it's not worth the 60 bucks but you are very very wrong that this game is a empty barren mobile-like game as there is a lot of quality care input and careful planning into the level design. My other point was pointing to the fact that you called it a simplified, barren, mobile-like game. Okay, you could point out that you also said for a 60 dollar game but let's take off the 60 dollar price tag and decrease it to 40, 50, even 30 bucks? Is it still a simplified, barren, mobile-like game to you or is it a Triple A experience that delivers? It's why I said there's a lot of content packing into this game compared to previous spinoffs and has a lot of content more than the Pokemon ranger games. Now your right. The later Pokemon ranger games have side quests which leads to good boss battles but that's really it. They don't give you a lot of meaningful rewards that feel optional, heavy customization or any of the other side features found similarly in the main series games that the Pokemon Mystery Dungeon series can compete with. In the end however, you are mostly right. This game isn't worth 60 bucks but you are wrong when calling it a barren mobile-like game in terms of game design. In fact this game features a lot of Pokemon Ranger-style elements and more like capturing Pokemon without battling, actions against the environment through Pokemon's own biological abilities, interactivity of the environment through their own AI, the level design rebuilt for that focus of environment interactivity (it's why the Cycling Road isn't a Cycling Road anymore). Like Pokemon Ranger, this game is best played as an adventure spinoff with RPG elements on the side, not a main series core title with the deep RPG mechanics rooted in almost every part of the game. Yes, yes it is. A bad game is a bad game regardless of the price tag. Now maybe if it was cheaper, it'd be less of a big deal. And no, not even $30. Most mobile games are F2P, $30 is a fortune by comparison. The things you mentioned don't really make the game a AAA, careful planned game like you say. The capture mechanics are a motion control gimmick. The interactions are just pointless fluff. And the level design isn't really all that new or groundbreaking, it's actually pretty archaic. There's simply no meat to this game. A bad game is a bad game regardless of the price tag. Yes but Pokemon Let's Go does not fit that category from what I've personally seen. Even those who criticize Pokemon Let's Go's lack of features often agree that Let's Go is a disappointment, not a bad game. There is a difference and this is no gimmicky mobile game, this is a Kanto remake that features many of the Adventure-style elements found in Pokemon Ranger. To say it is a bad game and it looks like a bad game is two different things. So instead of instantly calling it a bad game right off the start how about we wait for the reviews. If your a little convinced by the reviews to get the game, then buy it, check it out yourself. And if you think it truly still is a bad game, the difference between here and later is that you actually played it through and through and you have weight to your opinion.